£50 security deposit secures your booking and is refundable if left clean and no damages (not refundable if cancelled). 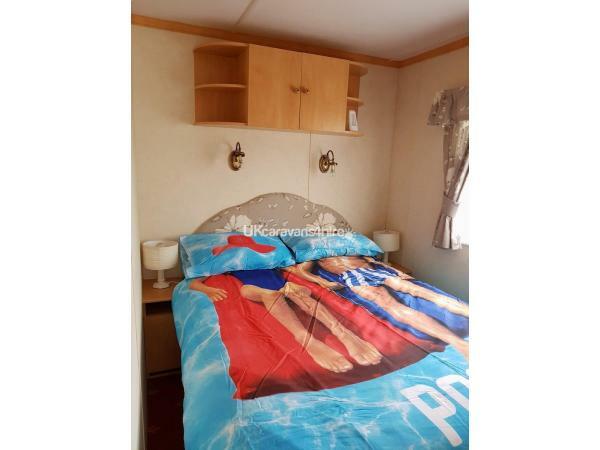 This will be returned after the caravan has been inspected. Balance to be paid 4 weeks before holiday. Caravan to be vacated by 10am and keys returned to the office. We've got a 3 bedroom 8 berth caravan available to rent. We're situated in the heart of towyn with plenty to do on your doorstep plus on a bus route so getting about is easy. 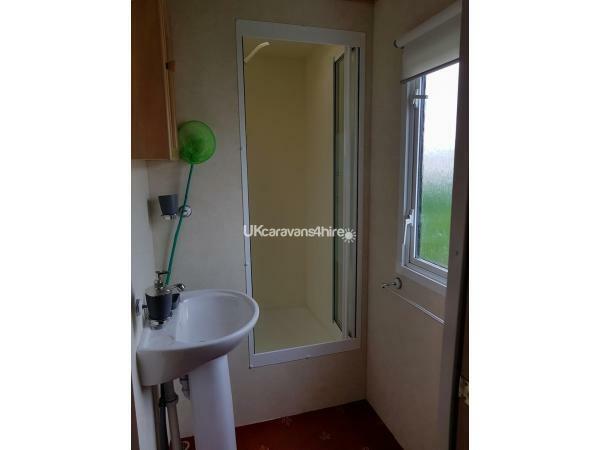 The caravan has a separate toilet and shower room. There's a 32 inch television, dvd player and portable radio/CD player in the living room. There's a slow cooker in the kitchen, you can put your tea in in the morning, go out for the day and it's ready for when your back. There's also takeaways nearby if you don't want to cook. Beds are made up fresh for your arrival. If you need to know anything else feel free to ask. If there was a 10+ they would get it, great value for money with the van but for me it was Michaela and family, we will be back my grandkids had a ball.... kids happy.... parents and nana happy.. shame about the football team tho only fault..
WE WERE MET AT THE SITE RECEPTION BY THE FRIENDLY OWNERS WHO ESCORTED US TO THEIR SPOTLESS AND WELL MAINTAINED CARAVAN. FOLLOWING AN IN DEPTH OVERVIEW OF THE VERY EXTENSIVE ITEMS IN EACH ROOM, THE MORE THAN HELPFUL OWNERS LEFT US TO UNPACK. 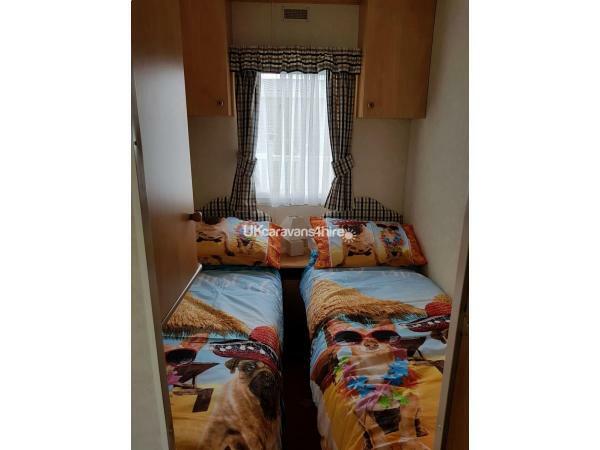 THE CARAVAN OFFERS A HUGE AMOUNT OF STORAGE SPACE THROUGHOUT AND THE BEDROOMS ARE COMFORTABLE AND FRESH (WITH SPARE BEDDING LOCATED IN THE CUPBOARDS OF EACH ROOM). THE SHOWER AND TOILET AREA ARE PRISTINE (WITH TOILET ROLL PROVIDED). THE SPOTLESS KITCHEN AREA CONTAINED EVERYTHING YOU WOULD BOTH EXPECT AND NEED FROM THE CONSIDERATE OWNERS, UPON WHICH WE PREPARED OURSELVES A WELL DESERVED CUPPA FROM THE PROVIDED TEA/COFFE AND SUGAR BEFORE RELAXING IN THE LARGE AND COMFORTABLE LIVING AREA WHICH, ONCE WE HAD DROPPED DOWN THE NEWLY FITTED WINDOW BLINDS, ALSO TURNED INTO A WARM AND COMFY PLACE TO SPEND THE EVENING. WE ARE A HOUSE PROUD COUPLE AND IT WAS VERY USEFUL TO MAINTAIN BOTH OURS AND THE OWNERS HIGH STANDARDS OF CLENLINESS BY USING THE PROVIDED CLEANING MATERIALS AND CORDLESS VAC. WE TRAVELLED AROUND EACH DAY BUT IT WAS A PLEASURE TO HEAD BACK TO OUR BASE EACH EVENING. THE FRIENDLY AND HELPFUL OWNERS OFFER A LOVELY CARAVAN AT VERY REASONABLE RATES AND WE ARE ALREADY WORKING OUT WHEN WE WILL RETURN TO HIRE THIS CARAVAN IN THE NEW YEAR. Thank you Stuart. We look forward to seeing you again in the future. 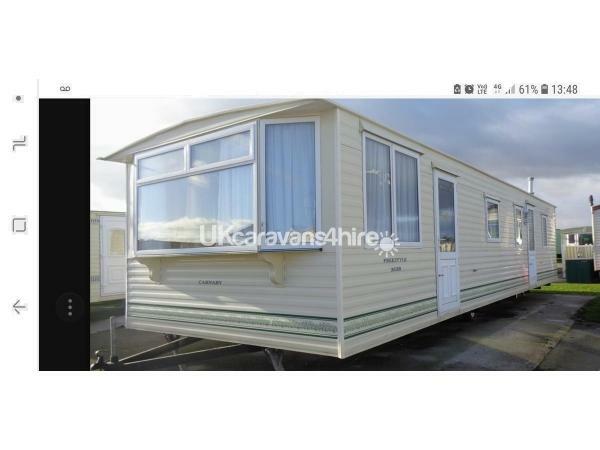 Lovely clean tidy well presented caravan. We stayed her Mon to Fri with a 7 year old and a 7 week old baby. There was everything we needed. The slow cooker was brilliant. We could go out all day knowing when we got back tired and hungry tea was ready. I'm very perticular on kitchens being clean. The kitchen was spotless not a crub in sight. Oven hob microwave and fridge all spotless. When we arrived there was some milk in the fridge tea coffee and sugar ready for a brew after a long journey which was a very welcome extra. There was also toilet roll when we arrived. Having stayed in many caravans I know this happens very rarely. The bedding was clean and freshly made in every room upon our arrival with spares in the cupboard of we needed it. 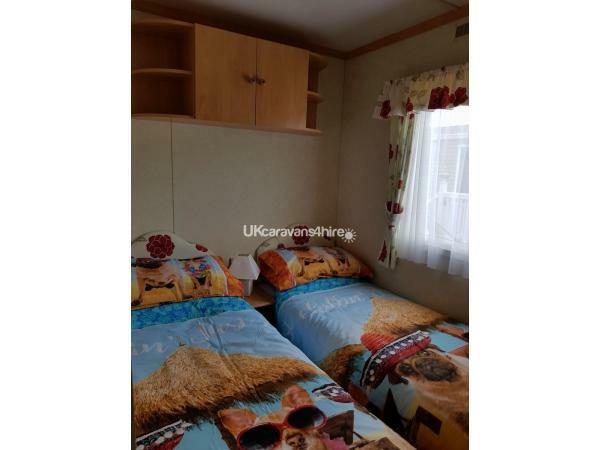 The owners of this caravan (lady and gentelman) also have a caravan they were staying in on site so they knew the area well they were lovely friendly people who gave us some great ideas to do with the children and let us know where the essentials where (asda, aldi ect). We arrived at lunch time and didn't realise the reception shuts for an hour the owners kindly allowed us into the caravan with there spare keys while we waited. And with a newborn and a very excited 7 year old this was a God send. They couldn't have been any nicer and friendly. We will defiantly be staying again and mention to our friends and family about this caravan. Thank you again for our stay.